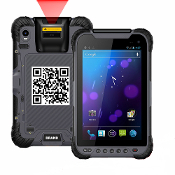 Geekland offers a range of rugged and semi-rugged tablet PCs that are designed to operate under harsh environments in applications such as field services, construction, fleet management. factory floors and so on. 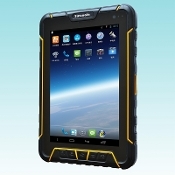 Customers have a choice between Windows based rugged tablets or Android OS. 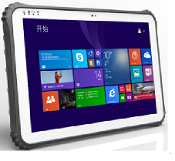 The windows OS based rugged tablets are based on Intel based CPUs and offer a high degree of performance at an economical price. The W-Series of tablets are based on Intel Baytrail Quad Core processor and can be loaded with Microsoft Office 7 Pro or Office 10 pro OS for full business productivity. These units are certified for MIL-STD-810G and support a host of accessories including bar code scanner, NFC/RFID reader, docking station and handstraps. We also offer ARM based platforms with Windows Embedded OS for applications that require a lower foot print than a full Windows 10 based OS. We offer fully ruggedized and semi-ruggedized Android based mobile Laptops. We have choices between Intel or ARM based platform. 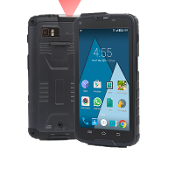 Ruggedized tablets range from 7" to 12" in display size and support a host of features including bar code scanner and NFC/RFID.